Longtime Hendrick Motorsports partner Axalta will be the primary sponsor of Alex Bowman’s No. 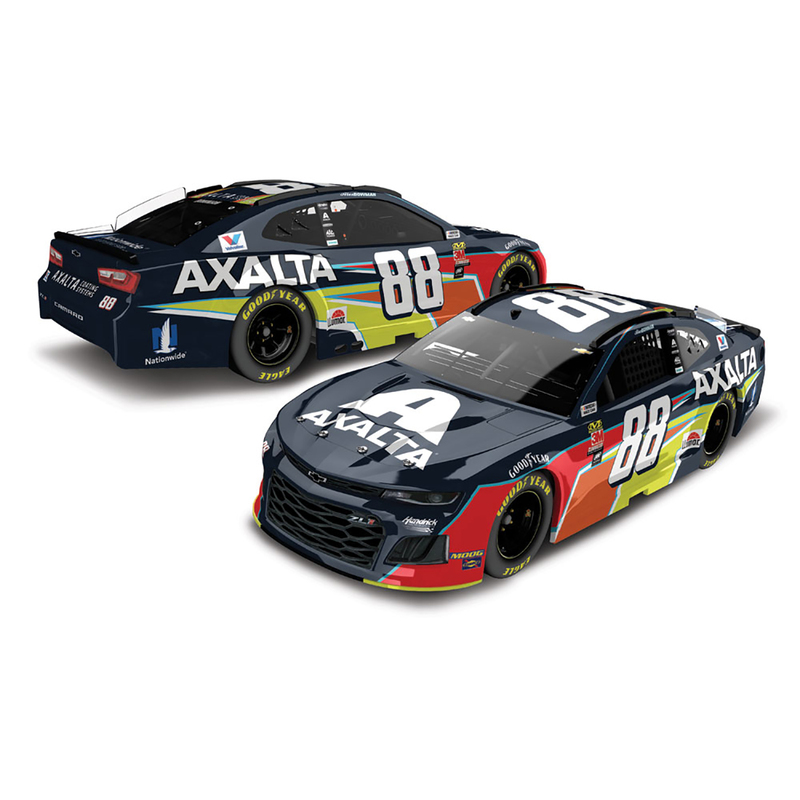 88 Chevrolet Camaro ZL1 for 12 races in 2019. Now Hendrick Motorsports fans can pre-order the official die-cast of Bowman’s No. 88 Axalta Chevrolet Camaro ZL1. Each 1:24-scale replica is available in two different trim levels – an Action Racing Collectables (ARC) model that features an opening hood and also a fully die-cast ELITE version that is built with an opening hood and trunk. The die-cast can also be ordered in a 1:64 scale. Don’t delay and miss out. Place your order today!